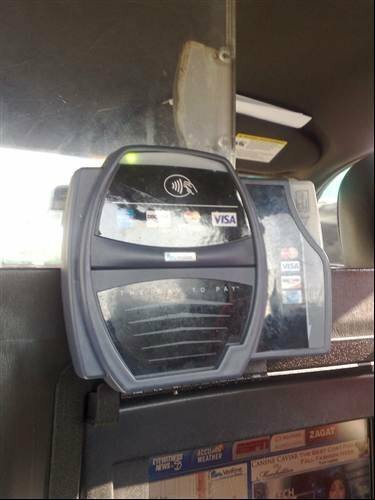 In 2004, the New York City Taxi and Limousine Commission mandated that its iconic yellow cabs and limousines provide technology improvements which include contactless credit card readers. At the time of launch, the main partners of the scheme – VeriFone and MasterCard – have said the technology brings a reduction of around 45 seconds off the transaction time in taxis when compared to cash, and 15 seconds when compared to swiping a traditional payment card. In 2008, a similar trial for the payment of taxi fares of £10 or less for 25 London-based Xeta taxis.